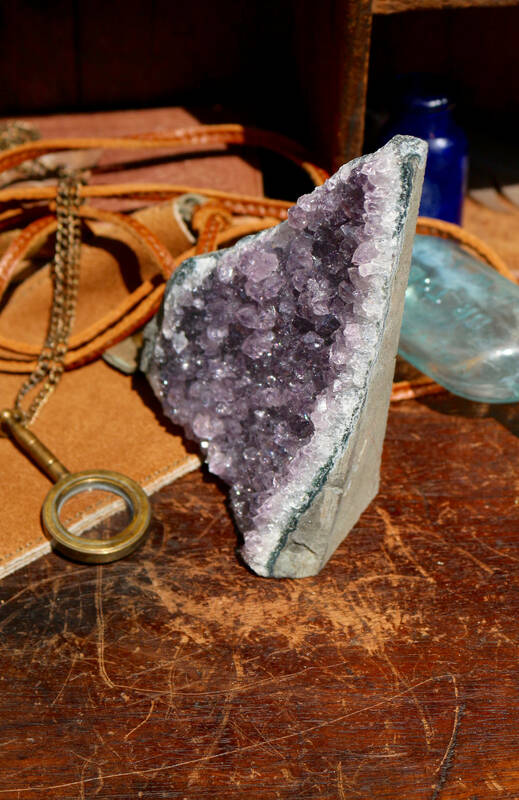 Gorgeous self-standing, naturally triangular shaped Amethyst Geode. 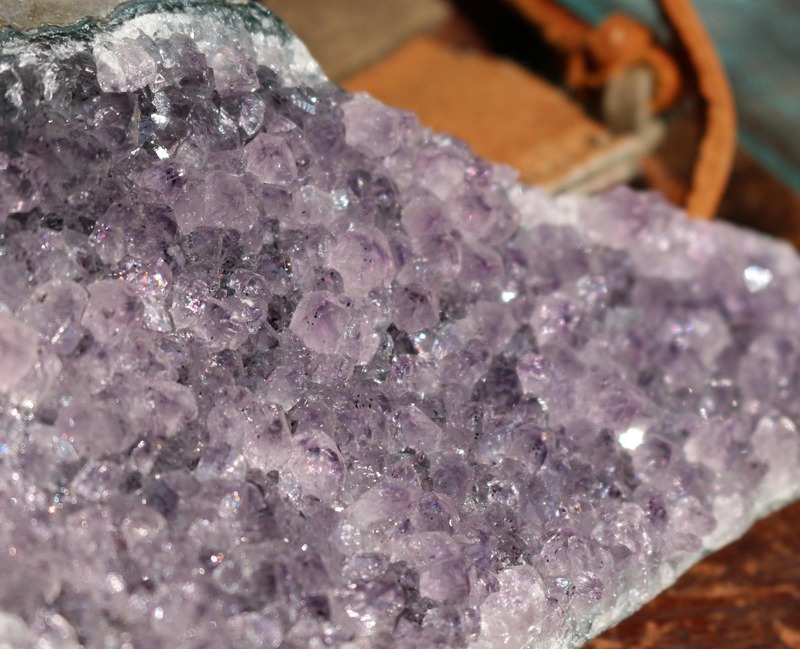 Perfect to place behind a tea light, allowing for the crystal to sparkle! 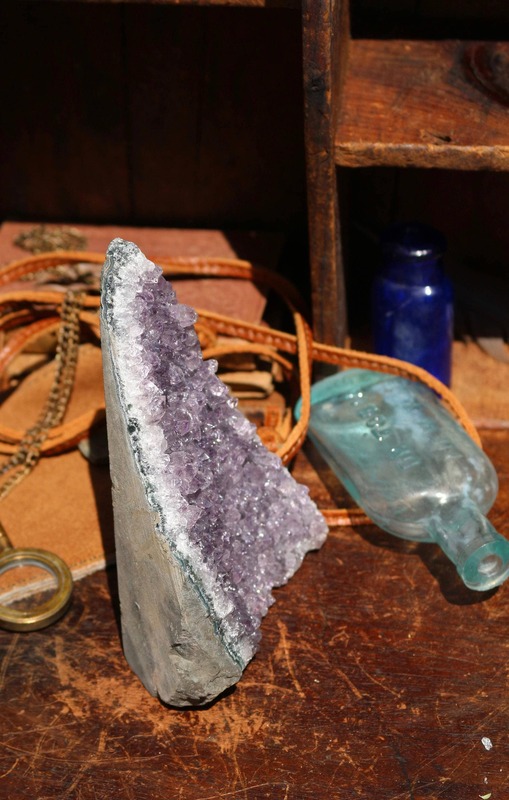 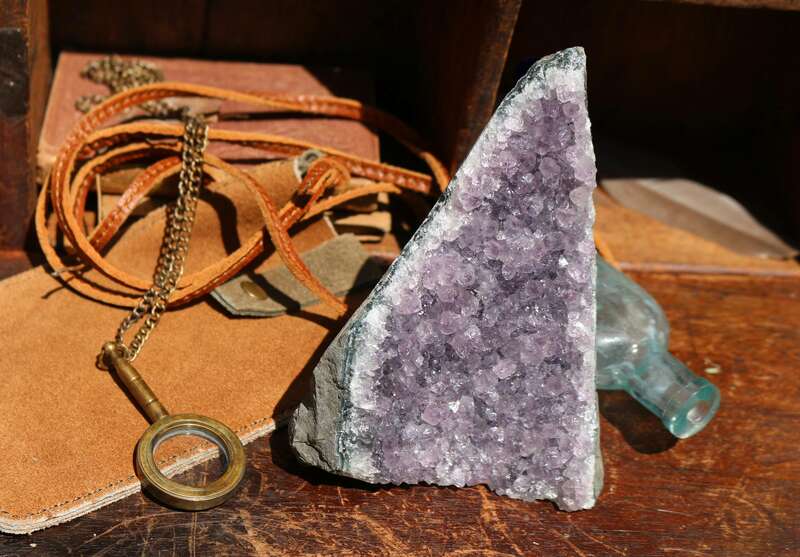 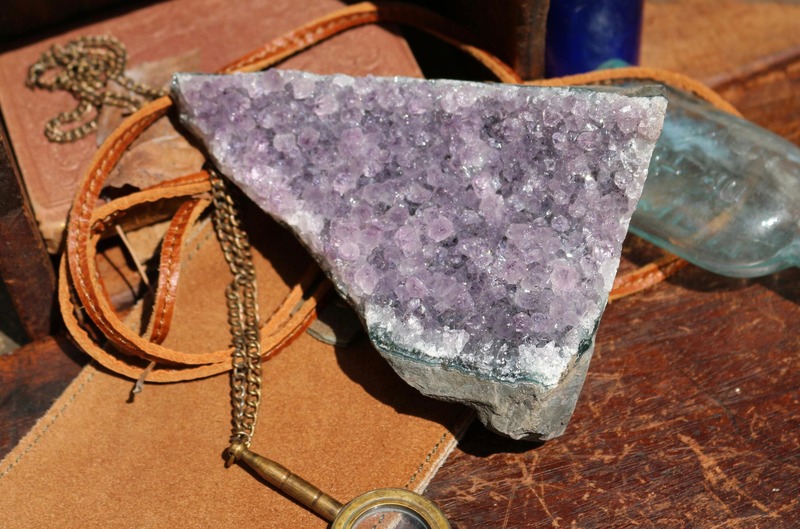 This triangular shaped Amethyst Geode stands on its side, as well as upright with the point of the triangle at the top.